Nowadays there are tons of cameras that can be categorized as “blogging cameras” on the market. 2018, it's mandatory for fashion bloggers to be capturing their own content with their cameras (as opposed to reposting image content by other fashion bloggers or media outlets.) 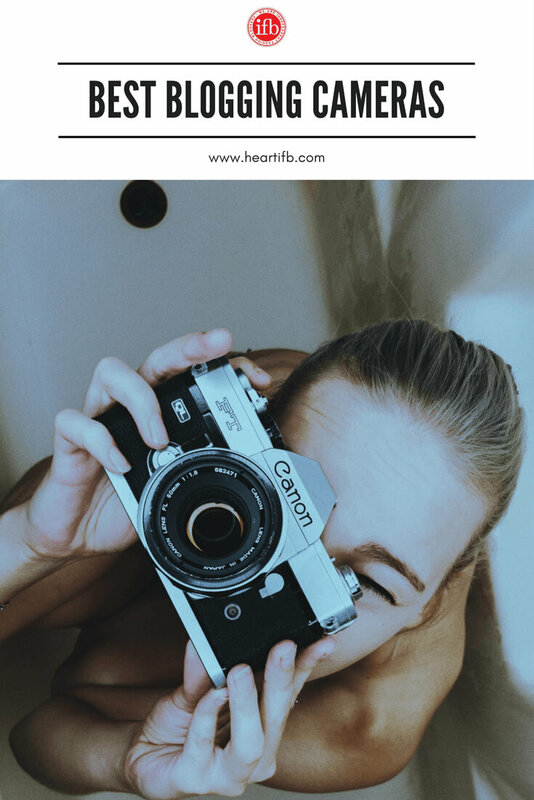 Julia Dinardo has previously discussed on the blog why it's important to take your own photos for a fashion blogger. In addition to your writing, photos help develop a blog's voice. They also allow your blog to stand out from every other blog out there. And with so many fantastic blogging cameras options, there's no reason not to dive in. When I started blogging in 2007, it was the norm to use your digital camera or your webcam to take photos. The blogging world has evolved (I mean, they didn't even have cameras with flip screens back then…) Taking good photos is important and the first thing you'll need is a decent camera. Air Jordans won't make you into a great basketball player; and a good camera isn't going to make you a great photographer. My photographer friends can take beautiful photos with cheap disposable cameras, and even with the crappiest flip phone camera phone you can find. However, they also put in the time to learn the craft of photography. They understand composition, light, and how to use a camera (but that's whole other post.) My quick tip, however, is to just start snapping. Try all the settings on your camera, watch a few YouTube videos and experiment. Fear and over-thinking are the biggest enemies, when it comes to learning how to take great pictures. When choosing to invest in a camera, you don't have to get the top of the line. If you're planning on taking your photos seriously, invest in a SLR or DSLR camera (my first SLR made it's money back several times over). You can find great deals for used cameras on sites like B&H, or refurbished on Amazon. You can even take a chance with Craigslist. SLRs and DSLRs will help you understand how to use light and how photography works. For that reason, most photography classes will require you to get an SLR or DSLR camera. If you are looking invest in a new blogging camera (or blogging cameras – we won't judge), there a plenty to chose from! I tried to keep cost in mind because it's a big investment, but the following cameras have all the exciting features you'll need for your blog. When you go the SLR or DSLR route, most photographers will tell you to pick up a Nikon or a Canon. They're both great quality, but they each have their own lens system. This means you will have to chose between the two brands, before you start getting into lenses. When I first started, I just had the lens that came with the camera. Now I have three and I'm thinking about purchasing a fourth. 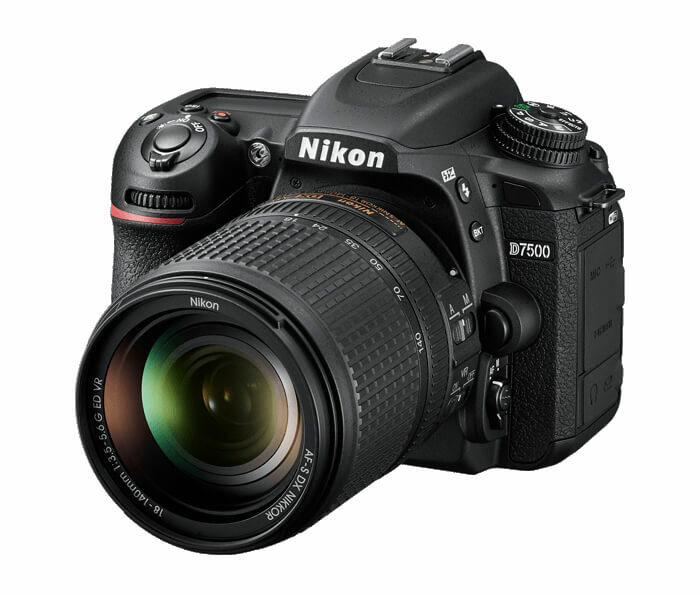 The Nikon D7500 has excellent reviews. This camera will set you back around $1250 (if that's too pricey for you, you can find a cheaper Nikon model for under $500.) But keep in mind it can take photos in low light. It's also great for capturing action shots (i.e. candid walk shots in your latest OOTD) and has great filming capability. Knowing that even professional videographers are using DSLR's, it would also be a great entry into video as well as photography. You can't talk about SLRs without bringing Canon into the mix. When I said everyone usually chooses a path between Nikon and Canon, I chose Canon. 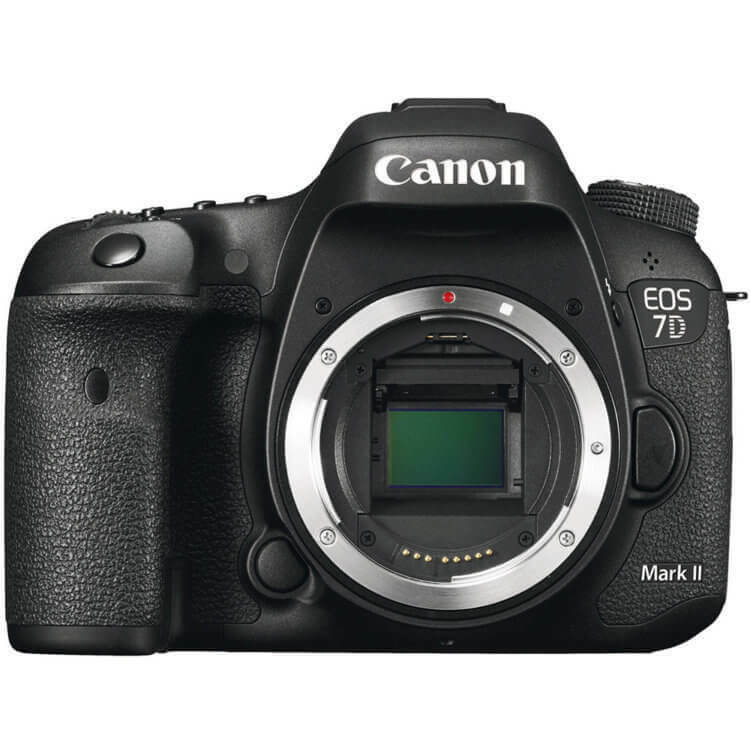 According to Tech Radar, the Cannon EOS 7D Mark II is one of the best priced cameras for amateurs (i.e if you're new to fashion blogging and photography, this one might be your best bet.) “The EOS 7D Mark II borrows much from its big brother, the EOS-1D X . . . bringing 10fps shooting and a professional autofocus system to the amateur market. You can shoot action and sports like the pros, but at a price within the reach of enthusiasts.” The camera's alloy body is durable and its controls are weather-sealed. It also has an excellent, power sensor. It will set you back around the $1200 mark if you're planning to buy the lens separately. If you're into stylish looking cameras that pack a lot of punch. 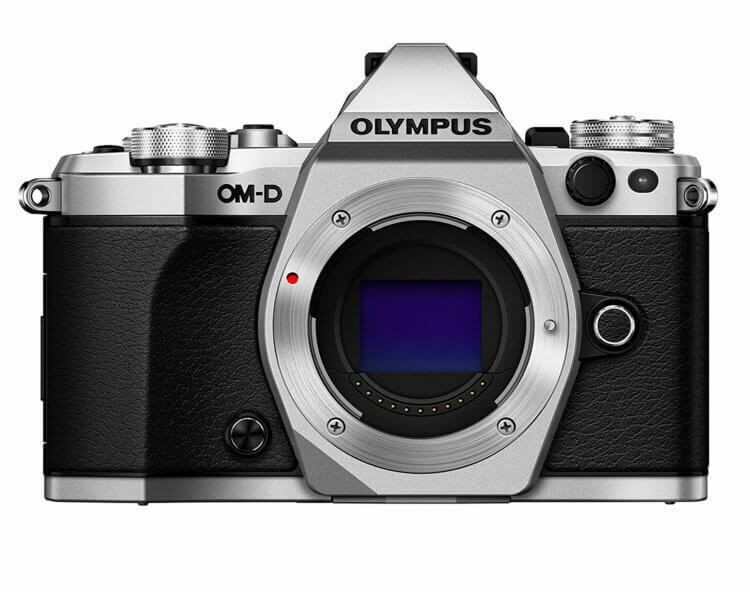 This Olympus OM-D E-M5 has a lot to offer. Aside from the vintage look to the camera, it's nice that they've included a view finder in this model. This camera comes in at 16 megapixels as compared with the 12 MP of the Canon. It also has interchangeable lenses, and plenty of add-ons. It also can take photos at 10 frames per second and has superb image stabilization (for those with less than steady hands). It's built to be sturdy camera. Fantastic if you're traveling a lot. The one thing reviewers revealed was that it doesn't do well with moving objects. If you're planning on going to fashion week, it might be good to save this camera for presentations and backstage. 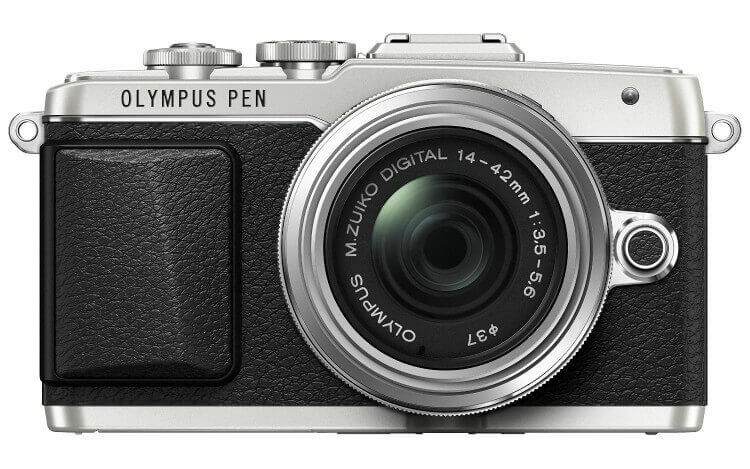 If you would like more automatic features, this Olympus E-PL7 just might be the one for you. Price-wise it's very affordable, but it's compact as mirrorless SLRs tend to be. It has fully automatic settings and image stabilization in the lens it comes with. 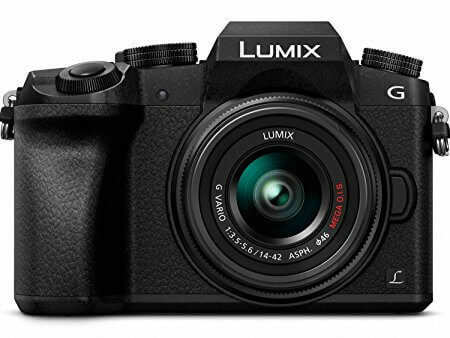 Another mirrorless SLR, the Panasonic Lumix DMC-G5 is also a compact camera like the Canon above. This model has 16MP, takes 5 frames per second. Note: Panasonic has replaced the DMC-G5 with the DMC-G7 and we now recommend it for the same price. You can get it at Amazon here. Have a favorite camera? Let us know in the comments below what kind of camera you use to capture content for your blog! Want to up your photography game? We've listed the “Top Ten Photography Mistakes You Should Avoid” on the blog, and how you can easily prevent them. *Editor's Note: This post was originally published in on March 26th, 2013 by Alison Lumbatis. It was updated on September 11th, 2017. Alison Lumbatis is the Founder and CEO of Get Your Pretty On and the creator of StyleChallenges.com and the fashion tech platform Stylegistix. Stylegistix provides the technology and tools for blogger and stylists to easily create, sell and deliver their own online style programs. I have the camera body, but I am curious on lens recs, especially for the Canon. Any advice for fashion? Cool! I would suggest the Canon 50mm f1.8 lense, it takes fantastic outfit photos. Nothing for an affordable price ?!! They are all crazy expensive even on amazon ! In the post, I give several options for used and refurbished cameras, which are cheaper. I used to “borrow” my husband’s fabulous Nikon (he’s a professional dp) to take my photos, but I eventually made the leap and got myself a Canon 600D. I absolutely love it and it has been worth every penny. And rather than learning everything about it beforehand, I just jumped right in and started using it, when I need to learn some new aspect I’ll look it up, but mostly it’s just been playing around and learning “on the job”. 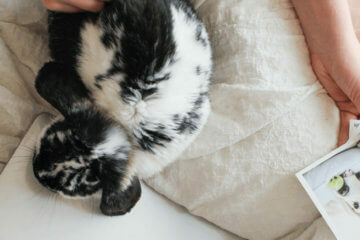 I love my camera to death! I did, however, buy a lens adapter to be able to, ahem, “borrow” some of Husband’s lenses. It does make a huge difference in the quality of the photos to have great lenses! Still, I say, get the best you can reasonably afford at the moment, and just play play play! If you want professional-looking photographs without the DSLR price tag then try a ‘Bridge’ camera. It is half-way between a regular point-and-shoot camera and a DSLR. Best investment I’ve ever made!! I have a Sony nex 5n and I love it! It has a compact size so you don’t have to carry a huge camera with you, but you can still change the lens if you want to upgrade and the photos look great! Excellent and powerful little camera, even by 2016s standards. Probably totally underrated by most people who think the bigger the equipment, the better and more professional. Simply not valid. I still use it today when light kit and unobtrusive photos are an advantage. In 2016 I’d probably recommend to have a look at a6000. I have a Nikon D5100, which is mentioned above and it’s amazing! Also, I love the fact, that I’m able to make videos. If you want to check out some of the pictures ( shot with the 50mm f 1/4 lens) you can check out my blog, but I promise, you won’t the buy! I’ve been told that the Nikor 50mm f1.8 is a good cheap alternative. Still debating whether to go 50mm f1.8/ 1.4 or 35mm f1.8/ 1.4 I do street style photography in Indianapolis so do u have any suggestions? I LOVE cameras and own many, I have the Canon 5D Mark 2 and personally I think lens are where you need to invest your dollars, bodies are throw away these days. Also investing your time in learning how to use a camera over expecting that the more you spend means the better the results. I personally still use film cameras because I get a better picture due to not yet understanding all the settings on my new Canon. SLR means single lens reflect, so the name infers there is a mirror, no such thing as a mirror-less SLR. Also there are a few grammar mistakes in this article that make it annoying to read, IFB need a proof reader. I actually just got a Sony NEX that I really love! It’s perfect for me because it’s not too huge and I know if I bought a DSLR I would never find the time to figure out how to use it! I think that if you got something from the NEX series, you might as well learn how to use a DSLR as all the functions available on a traditional DSLR are available on a mirrorless camera. If you guys need some examples, I own the Olympus E-PM1 (pen series) and I use a Lecia f1.4 25 mm on it. Super sharp and great background blur, exactly what a blogger is looking for. You don’t need a clunky camera, get a stylish micro 4/3 camera, I take mine everywhere! Of course you’ll have to invest in a lens like mine to achieve this quality but in total you’ll pay 1000 bucks which is less than what you’ll end up paying for a DSLR + lens. I got the Olympus OM-D for Christmas and it is just incredible, but you really have to know what you’re doing to get the most out of it! That said, mirrorless system cameras are a great option if you’re serious about photography but want something a little more compact than a DSLR. For those interested in investing in a camera with an interchangeable lens, I highly recommend getting the body only and buying a separate lens with a fixed focal length instead of the kit zoom lenses that are usually sold with the body. They are much sharper and you will get more professional looking photos with nice “bokeh” (the blurry background). A focal length of 50mm is very popular as it is considered to be the most realistic, that is similar to what the human eye sees. As the sensor on a micro 4/3 camera is half the size of a full-frame sensor, a 50mm equivalent m4/3 lens would be 25mm. Also keep in mind that you can put a Panasonic lens on an Olympus body and vice versa, which gives you a lot more options! That said, if you have a strong creative vision it really doesn’t matter what kind of camera you have. Personally I’d love to see more photos from polaroids and disposable cameras on blogs, I love the saturated colours and dreamy, vintage feel you get from crappy film cameras! I agree that artistic vision is important, though I could not go without good equipment when it comes to detail shots of accessories and such. That’s true, if you take a lot of detail shots there’s nothing better than digital. I’m using the Panasonic 20mm 1.7 with my Olympus as I prefer a slightly wider angle, it’s such a great all-rounder lens, I cannot recommend it enough. One thing I forgot to mention is using a fixed focal length is great for improving your photography skills because you can’t rely on a zoom to get the photo you want, so you learn to think a lot more about how you frame your photos. I have Nikon D5200 and it is amazing for photos and videos!!! I was researching cameras a few nights ago and had pretty much settled on the Nikon D5200. It is pretty expensive once I add in lenses, a remote and a wi-fi, but I want to shoot fashion as well as close-ups for beauty tutorials. Do you really love yours? Yes Donna, it’s pretty expensive but makes amazing photos. It has a lot of effects and the quality is better than for example Nikon D3000. And also is very comfortable for making videos! I love Nikon or Canon! But I must say that Canon have best shots than Nikon! Bokeh is more beautiful and creamy! I recently got the 6D and blown away with it. I would suggest it was the perfect top end camera for bloggers. It also connects to your iPhone via an app (no need to connect through computer) can upload photos from my 6D straight to social media channels. Also a breeze to take photos of myself with this feature. I must add it is full frame camera so much easier to use that beloved 50mm 1.8 (don’t have to stand so far back to get in the frame). Jeez maybe I should be a sales person for this camera.. I also have my sights on the Canon eos M. Its a compact but I can use my DSLR lenses on it with an adapter. More lightweight option for times I don’t want to lug around my DSLR. I’ll chime in for a quick response, since I’m both a blogger (content creation and copywriting mostly) and a professional photographer. I’d advise any fashion blogger, who is mostly on the go, to avoid any of these. They will make great photos but are too big and bulky, and the “kit” lenses on them are junk. I’m going to advice buying a used Canon G10, used $225-250ish- look on Amazon for used (or G12), if you need to buy new, buy the G15. They are tanks, built tough, super user friendly but also have the ability to shoot with an hotshoe flash, even studio strobes. Small enough to take everywhere and shoots to an SD card, which is built into many Mac laptops. There’s a reason no one carries laptops around anymore and the iPad mini is so popular, size really does matter, especially when you’re on the go. The Canon G series is a great series of compacts – the Canon G11 was the first camera I owned and it taught me so much about photography. I’m surprised it wasn’t mentioned in the list here actually, it’s a much more affordable option and I’d highly recommend it for someone who wants to get into serious photography but isn’t quite ready to invest in a DSLR. It’s beautifully designed, loads of external dials so you don’t get lost in the on-screen menus trying to change your photo settings! I am looking into this. Great suggestion! I have to agree that it is just best to jump in and start using your camera. I did just that when I bought the Nikon D5100 last year and I am very happy with it. It takes beautiful pictures but I also bought ‘Nikon D5100 for Dummies’ as a reference because I am a BEGINNER. I bought a 50mm automatic lens for it (honestly, based on IFB suggestions) but I kinda of hate how far away I have stand from my subject for a decent picture. I love using my iPhone 5 for pictures on the go. They come out great! It is really amazing how good camera phones are becoming. I’m looking forward to more articles about lens or photography. It’s becoming a hobby of mine. Great minds think alike! I JUST received my Canon Rebel T3i a few hours ago and was already drafting a post about cameras used for blogging. I also have that one and I love the pictures with the regular lens. I recently purchased the Canon T3i. It was by far the best purchase I have made to move my blog forward. I second Liss on investing in your lens. If you have a Nikon, you must head over to http://www.kenrockwell.com It seems like he’s tested just about every imaginable Nikon lens out there! Well, I wish I found out about his website & did my research on buying a lens before I got what I got. It was a 2 for deal on eBay, so I went for it. Turns out they bundle it together because no one would buy that lens on its own. It’s ruined a lot of shots for me & I could kick myself for not doing more research. At least my other telephoto lens is nice! The only thing is that I do street style in Indianapolis & a telephoto lens is overkill. I’ll also add to chose a body that does video. You never know when you’ll need it. I still love the old power shot, they are bang for your buck. Make Money By Taking Photographs. The Internet’s Most Complete Tutorial. Be Up And Running Within Hours. I also have the canon 650d – and find it is alot more practical. However, since renting a lovely little Canon G7x on Fat Lama, I find it is easier to move around and stabilizes better. I’m a big fab of the Canon EOS Rebel ! I took my concert/events pics with it and I’m totally happy with it ! Great review! I am due for a new camera that is more reliable than my iPhone or my older Nikon or Canon. Thank you! I have Canon 650D and am happy with it, it has touch screen too, and i bought 30 mm Sigma 1.4 lense to it and also Canon 17-40mm, but in future I want to buy also Canon 24-105 mm lense and maybe upgrade to Canon 5D Mark II or III if I will afford it. What a good help and solid advise on cameras for bloggers, been on the blogging scene for roughly over a year and its always good coming across solid information. Keep up the good post and content. Hi, your post is really helpful!. But i’ve got a few questions.. There were 2 camera models i’m interested in :the Olympus om-d e-m5 and the Panasonic lumix dmc-g5. For both of these cameras there are a newer version of it(panasonic lumix dmc-gx7 and the Olympus om-d e-m1) so which one( older or newer) would you recommend ? Hi photographers and fellow bloggers! Thanks so much for the comments and links to your photos. This is really helpful for deciding which camera to buy for my blog. If you see my blog, the last photo was shot in low light and is awful! The outdoor pics look pretty good, however. I shot them all with my little Canon Powershot. But I want to move on to something a little more professional as I build my freelance writing platform. Thank you, Ms. Jacob for sharing the information. I took a lot of notes from this post. In my opinion fijifilmDigital Camera are the best camera. They also have affordable price. Thanks for sharing your thoughts on views on digital Camera. As I use many Digital camera but I’m never happy from their performance from my personal experience Now I am using Fujifilm X70 Digital Camera from past 1 year. I am very from their performance. Nikon D5100 and Olympus OM-D E-M5 are among my personal favourite. I love Nikon D5100. I use this camera. it’s good. You made good information about 5 cameras. Thanks for sharing. Nice information about cameras thank you for publishing this post.